Winter is really starting to show around here with even a light dusting of snow up in Cle Elum, but that doesn’t mean that the fishing has slowed down! Although it isn’t dry fly season anymore, nymphing on the Yakima during the cold season can produce some large fish. For those fishing from the bank, right now is going to be one if the best times of the year to get out and fish the low and clear water. 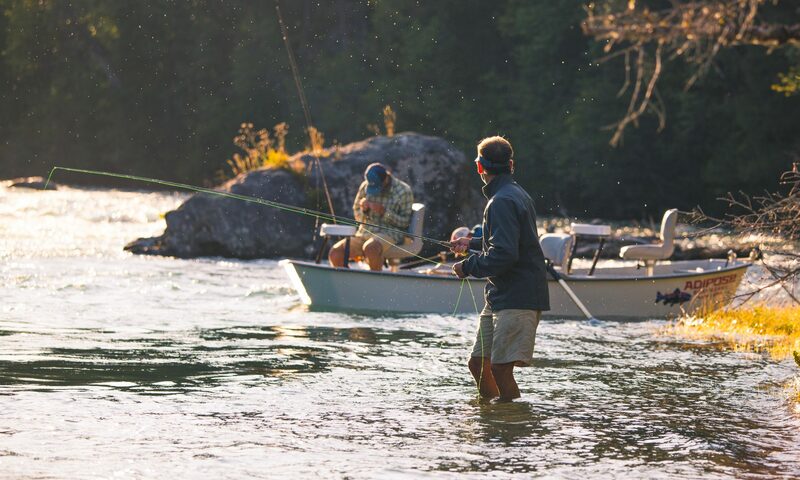 Lighter tactics with the low water can be the difference maker this time of year. Whether you use a balloon, yarn, or no indicator at all, a light presentation will help you find more fish. As far as flies, a stonefly nymph with a San Juan worm or something tiny will be the most effective. For that “something tiny,” a size 18-20 WD40, brassie, or just your favorite midge pattern will do the trick. Look for walking pace water around tailouts that run 3 feet or deeper, as well as riffles and seams with some structure. It helps to work runs pretty heavily before giving up on it. Also remember that fish will pod up this time of year, so where you find one fish there will most likely be others. Here’s an update on our shop hours for the Winter Season!